We know that Microsoft Office 365 is actually a Software as a services solution. Which basically includes Microsoft Office Suite and various other services. This application is important for small to medium-sized business. It provides a comprehensive set of software tools and services which helps the user to perform Office documentation, communication, and management tasks. It includes various useful cloud-based online services such as Outlook 365, Exchange online, SharePoint online, Skype for a business server. But the data of the Office 365 is stored on the cloud. We know that data stored in the cloud is not safe. In that situations, the user wants to download PST from Office 365 online to avoid data loss situations. Sometimes a user wants to transfer the data of Office 365 to some other desktop based email clients such as Microsoft Outlook, so there is a need to export the data in Outlook PST file format. Let us understand the situation with the help of scenario. Are You facing the same issue? If your answer is Yes then you are on the exactly right solution page. In this article, we will discuss why the user wants to export PST from Office 365 online. And also We will discuss the Importance of taking the backup of the data in Microsoft supported PST file format. Before going to the solution part let us first discuss the PST file format and why the user wants to take the backup office 365 mailbox to PST. More about PST File Format- PST file stands for personal storage table file format used to store the mailbox items such as emails, contacts, calendar events. Microsoft Outlook uses the PST file format to store the Mailbox data items. Data is a Vital part for every user. 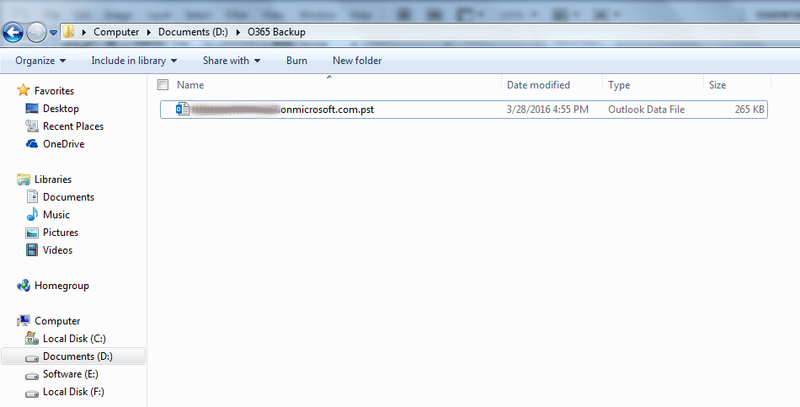 Hence it is important for Office 365 users to create the backup of this data. Here are the few reasons why the users actually want to export PST file from Office 365 online. 1. To access the Office 365 data in some other email clients – Like someone wants to access the data in desktop-based Microsoft Outlook application. So, in that case, there is a need to know How to save PST file from Office 365 account locally. 2. 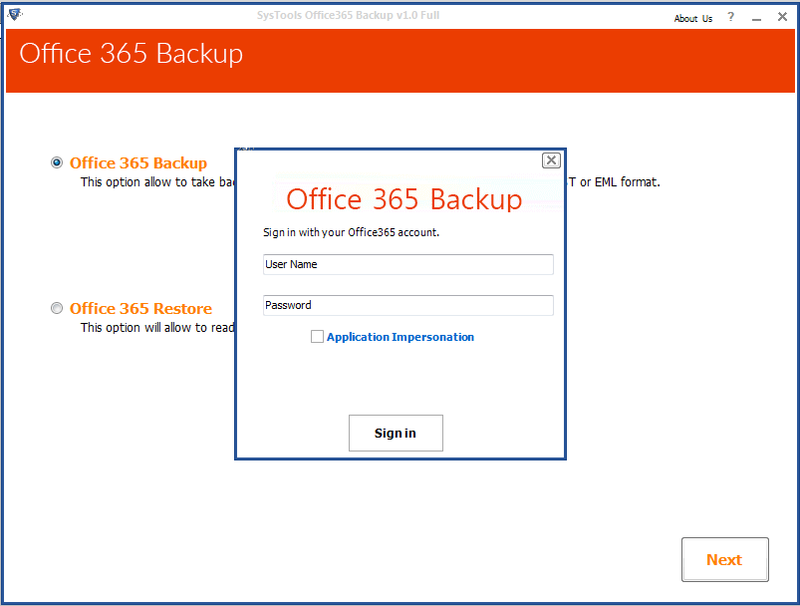 To Save the Office 365 account data from hacking issue – In order to save the data from hacking related issues such as cloud ransomware attacks. Actually, Ransomware is a type of malware that basically targets businesses, Public agencies or individual person by means of digital extortion. So to export PST file from Exchange online is the best option. To avoid hacking related issues. 3. Avoid accidental deletion or data loss situations– To avoid any data loss situations or in order to save the data from accidental deletion. The user can store the data in PST file format. This also must be the reason why the users want to do backup office 365 mailbox to PST file format. 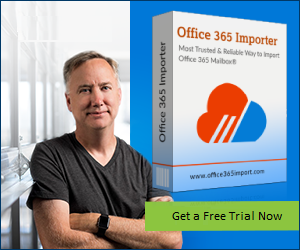 To export Office 365 mailbox to PST file. The user has to add Office 365 account to a desktop-based Outlook application such as Outlook 2016 / 2013. 1. First of all the user has to add Office 365 email account to Outlook. After this, the Outlook application will automatically sync with the O365 account. The user will see Office 365 mailbox items in Outlook. 2. Now the user has to Export the data in PST file format. Follow the certain steps to export the data in PST file. At the top of the ribbon click on File. Now click on Outlook data file (.PST) and click on Next. (Make sure you have to select include subfolders option to export contacts, and Inbox items. Browse the location to save the (PST) file. The above discussed manual method to backup office 365 mailbox to PST file has some limitations. Like this method is difficult to perform for Non-technical users. It requires strong technical knowledge to perform this process. In case a user wants to download the selective data then this is not possible. And also this method takes a long time to download PST from Office 365 OWA. 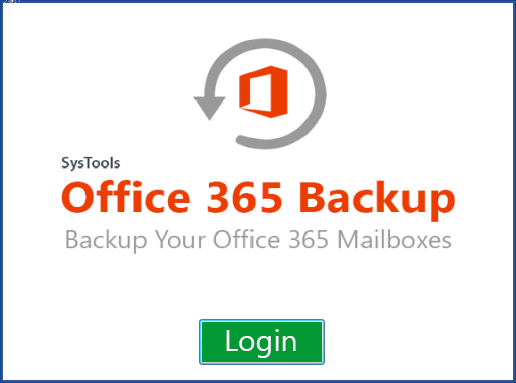 Here is an automated solution to backup Office 365 mailbox to PST in a safe and secure Way. 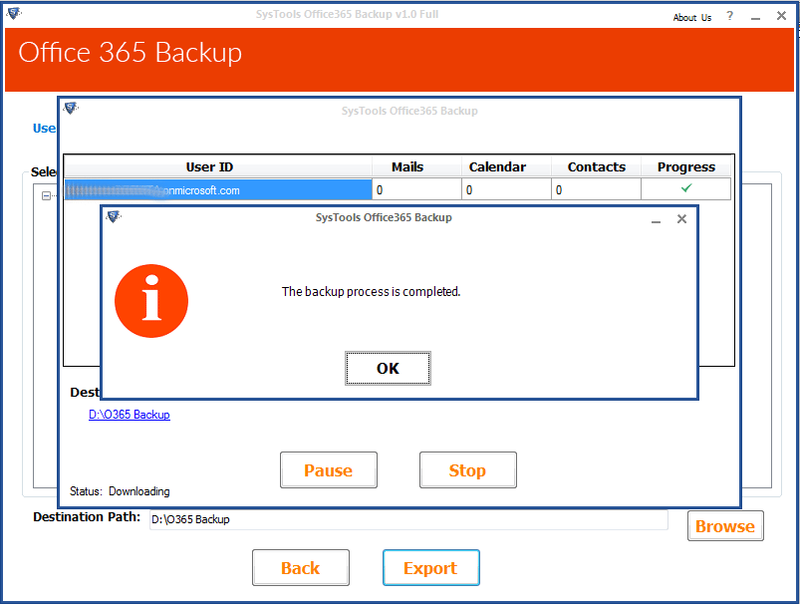 By using SysTools Office 365 Backup and Restore software. 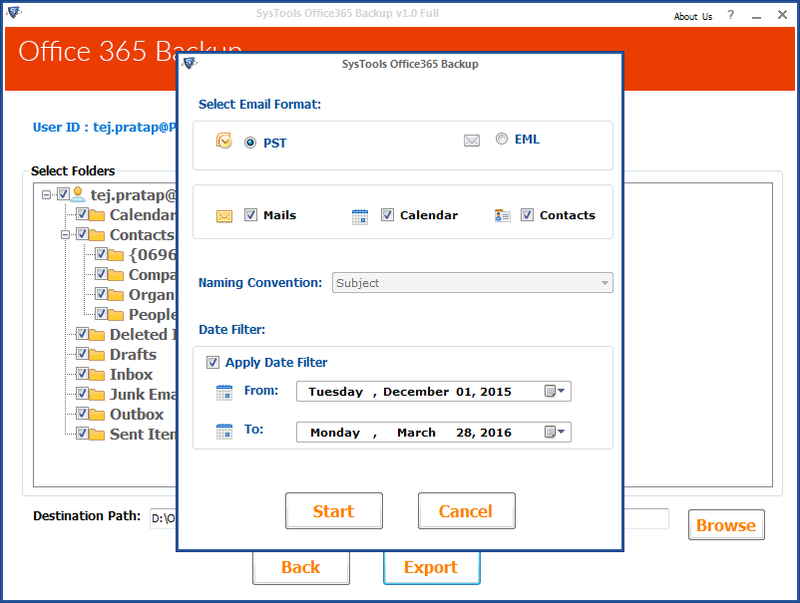 This software allowed the user to Download Office 365 mailbox to PST file. The user can apply a date filter option to download the selective data. Moreover, this software comes with a self-explanatory and easy to use graphical user interface so that everyone can easily use this software with ease. 1. First Download and Install the software on your machine. 2. Then provide the Credentials of O365 account. 3. 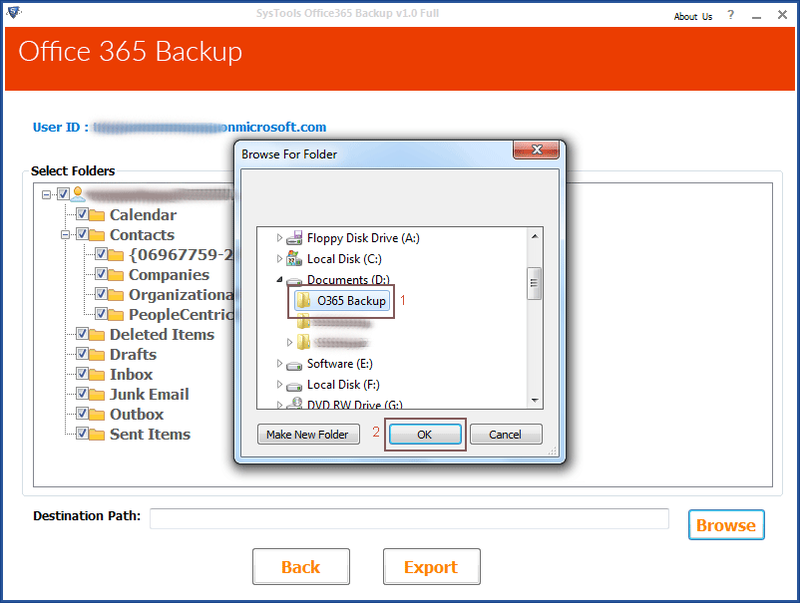 Now choose Office 365 backup option to take the backup of mailbox data. 4. 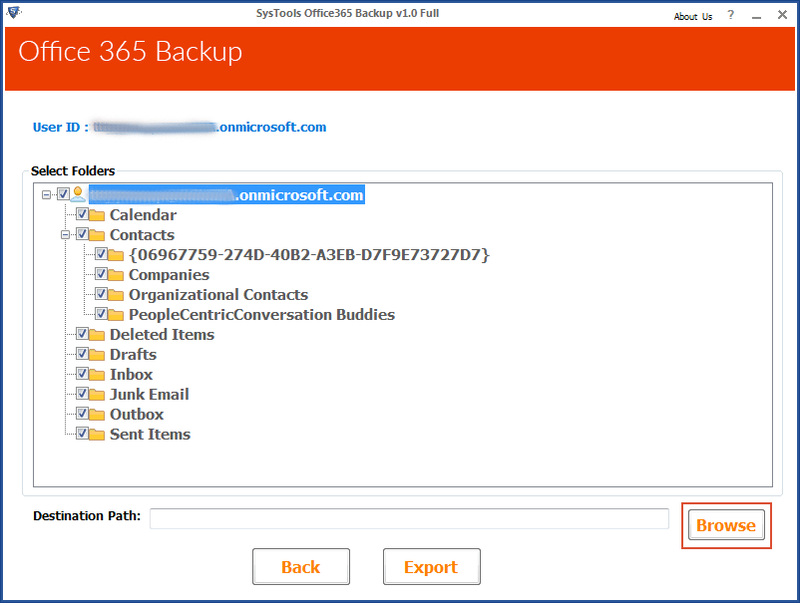 Now choose the mailbox items to backup from O365 account. 6. After selecting the location the user has to select the file format from PST / EML. ( To export the data in PST file the user has to select PST file option). The user can select the mailbox items from emails, contacts and calender. The user can also apply the date filter in order to move only selective data. 6. Click on Start button to start the backup process. 7. After the successful backup message displayed then click OK.
8. Now go to the selected location to view the PST file.